Toogoodoozies — Toogoodoo Oyster Co.
Like fine wines, oysters have a following of people who love to taste the place from which they came. 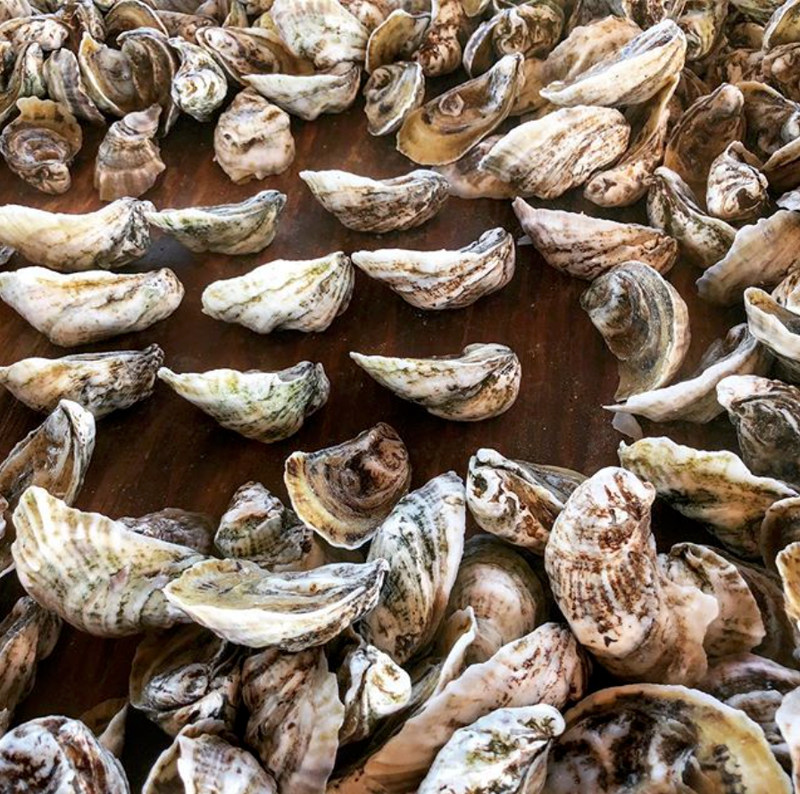 They will take on the taste of where they're grown, known as merroir, leaving no two oyster varieties alike. When you taste our Toogoodoozies, you'll immediately notice their brininess (thanks to the Toogoodoo's proximity to the Atlantic), followed by mineral hints from being finished in bottom cages, and a sweet finish to keep them perfectly balanced and complex. Their deep cups and hard shells are a reflection of the love and attention these oysters get from the moment they are spawned until they reach your plate. Toogoodoozies can be found on raw bars around the Charleston area, as well as throughout the southeast. Share your #toogoodoozies experience with us, and tag us @tgdoysters!